Hey, take a look at this great nonprofit webinar Free Webinar: 10 Tips and Tricks for a Successful Grant Seeking Strategy (Recording) at CharityHowTo! 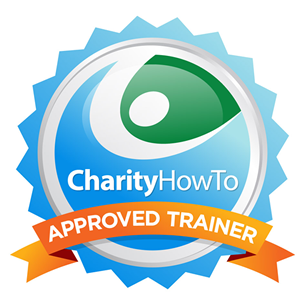 This free nonprofit webinar is brought to you by a GPA approved trainer. Diane Leonard, GPC is one of only 15 people in the entire world who is a GPA approved trainer. Participating in “10 Tips and Tricks for a Successful Grant Seeking Strategy” will provide you with insider knowledge about what funders are looking for and some specific tips you can use when reaching out to funders and crafting grant applications. Having served as a Program Officer for a statewide public foundation, Diane is uniquely qualified to help you best translate and understand the materials put out by funders. In this recorded webinar, we will go through ten tips that all grant professionals can use to help implement a successful grant seeking strategy in their organization. We will look at specific examples of how these tips can and have been successfully used so you can consider how to best utilize the information within your own organization. Participating in “10 Tips and Tricks for a Successful Grant Seeking Strategy” will give you some “insider” tips and tricks from the funder’s perspective that will assist you when working on creating and implementing your grant seeking strategy. Use the tips discussed in this webinar to ensure that you are putting together highly competitive grant applications and ultimately achieving your desired grant funding success.